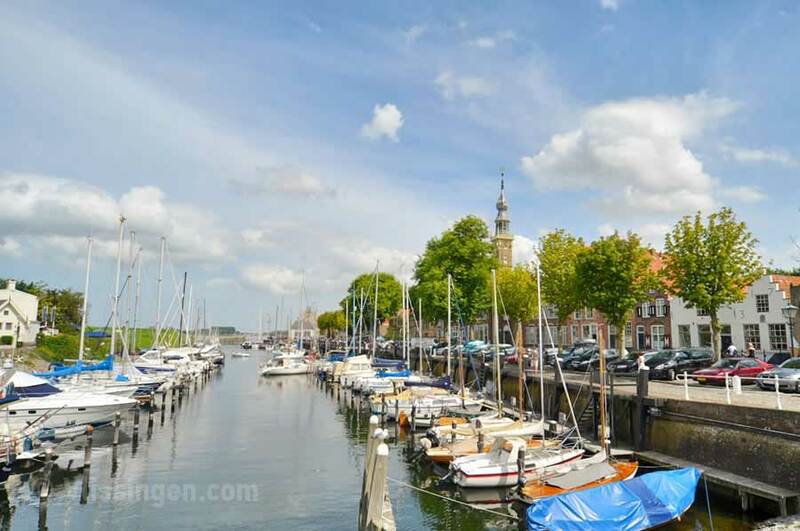 It is a beautiful historic and picturesque place with a yacht club and a central location next to the Veerse Meer. 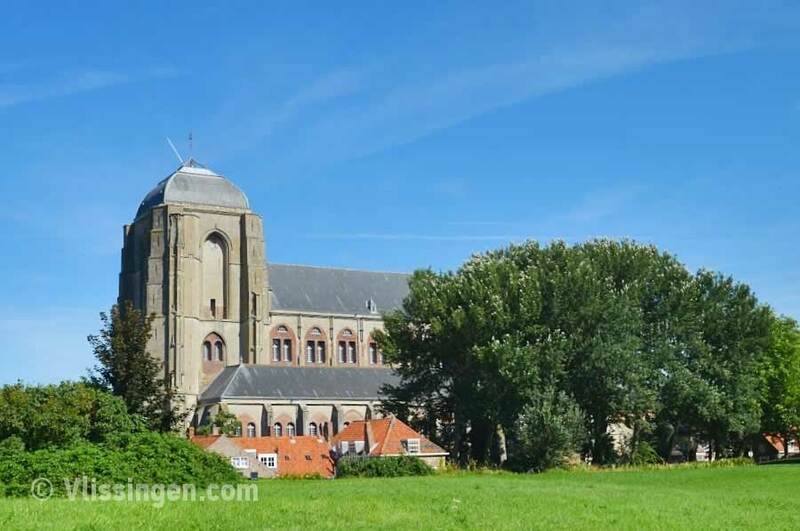 Veere is also being referred to as the pearl of Walcheren, because of the rich nature and the history. The city is being surrounded by forests. Walkers are well catered for here: great nature, rich history, small shops, nice terraces and sociable restaurants. Even though Veere is a small place, there are many opportunities if it comes to shops, antiquarians etc. Every shop has its own atmosphere and has nice and special trinkets. Also there are a lot of different jewellery shops and some music shops as well. 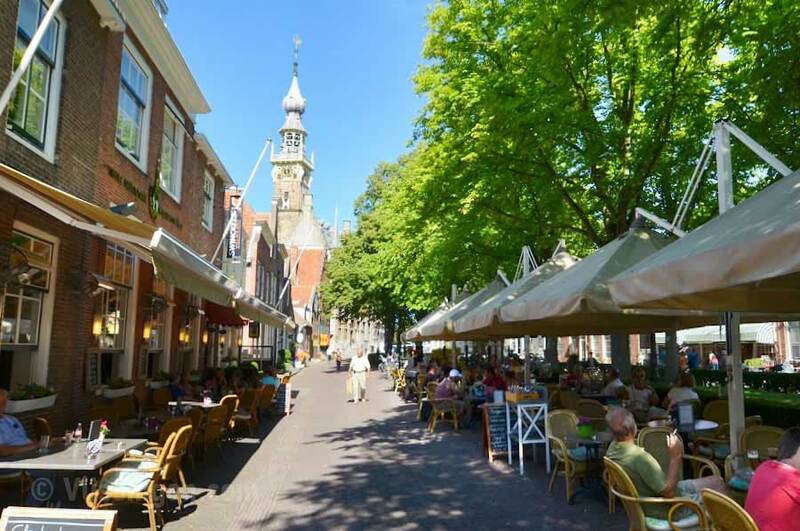 Most of the shops in Veere are opened every Sunday during summer. It is a paradise for the culinary recipient. Along the quay and the yacht club there are many terraces and restaurants. You will have a great view of the harbor from there. You can also find an ice-cream parlor, where you can buy home-made ice cream. In the early days Veere was a flourishing commercial city. This prosperity can be found in the beautiful historical premises. The town of Veere arose in the twelfth century. The following centuries the town was being used to store Scottish wool. Veere still has these typical Scottish homes, which were built in the sixteenth century by rich Scottish merchants. At the Kaai in Veere, two of these Scottish houses still stand, and they remind people of the wool trade back in those days. Antique collections of the last private owners are among the things which can be admired here. Also fans of porcelain, furniture, style rooms and stitch costumes have much to look at. In the Scottish houses you can regularly go to see different expositions of the artists from Veere. The big church is from 1348 and it is a really great sight. As from 1811 the church was being used by Napoleon’s soldiers as a military hospital; the church was a beggars house and a barrack for a while as well. You can still clearly see the traces of an eventful past. Also the Campveerse Tower is a treat for the eyes. The building was built as part of the separation of the city around 1500. As from the sixteenth century the tower served its purpose as an inn and as a coast light. Nowadays it is one of the oldest inns in The Netherlands which is still in use. This old inn (situated at the water) has been transformed into a beautiful restaurant with a perfect view. There are some other smaller monuments. 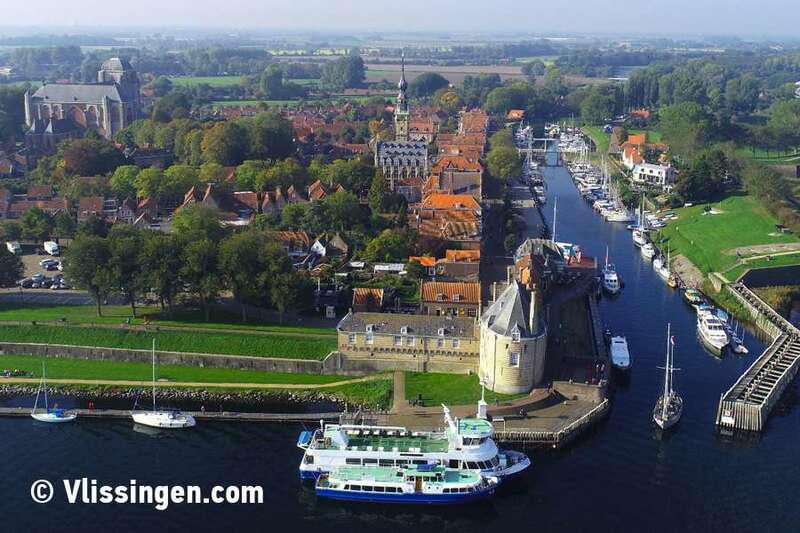 Few will be able to imagine that Veere has been an important harbor city and that approximately 750 houses used to be there at the end of the seventeenth century, whereas there are around 300 now. Today there still are tens of monumental premises. Since 1974 (the biggest part of) Veere is under protected status. You simply cannot go to Veere without visiting the town hall. From the town hall ‘de Vierschaar’ the citizens of Veere and surrounding villages were controlled for centuries. There are many historical objects which can be admired. A rich collection of paintings can be found there as well, including some from the Orange family. The children can follow a quest in the museum. The boardroom is situated on the first floor. Here hangs, among other things, the family tree of the house of Oranje-Nassau, which was painted in 1936 by esquire A.W. den Beer Poortugael. The town hall of Veere comes from the fifteenth century and has a beautiful frontage. Finally, the carillon was elected to be one of the most beautiful ones in The Netherlands.